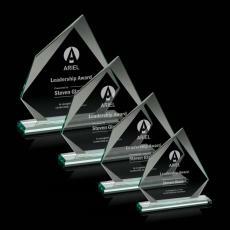 Clear glass awards let the fact shine through that you are acknowledging an employee. 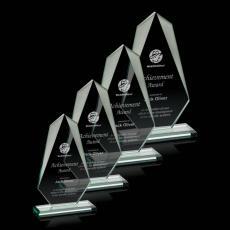 Recipients of clear glass recognition awards have attractive proof of your respect for their contribution to your company, club or team. 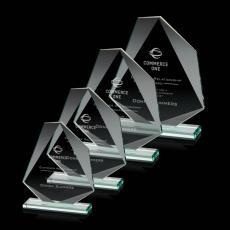 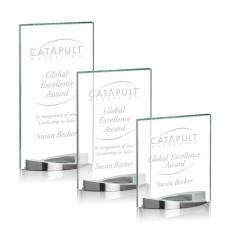 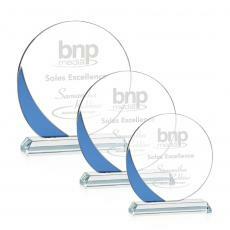 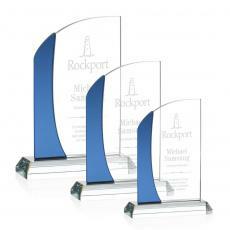 These affordable trophies come in a wide range of shapes, designs and sizes to coordinate with your brand or theme. 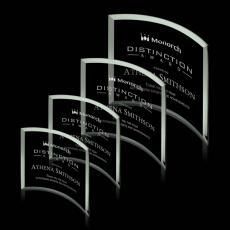 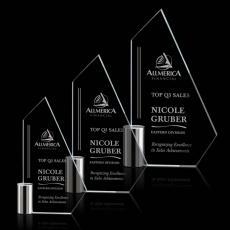 Clear glass personalized awards mean more to the person who receives it than just an out-of-the-box item. 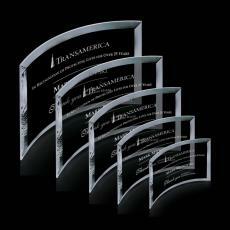 It shows you think enough of them to commemorate their contribution by adding their name, date, logo or reason for the award. 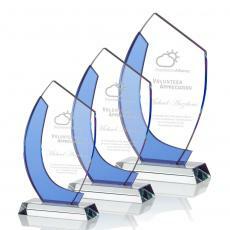 When they display it on their desk or wall, visitors can readily see that they have earned the respect of their peers. 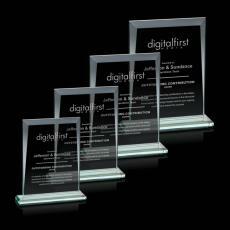 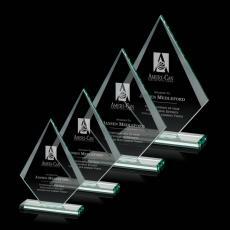 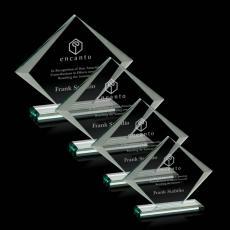 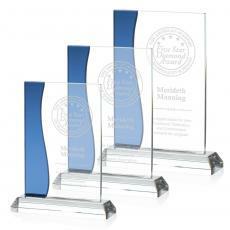 Laser-engraved clear glass awards send the message that you are proud to have them in your group. 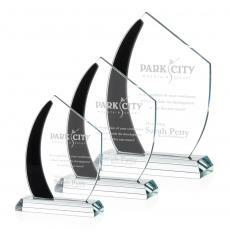 Engraving is done to the highest standards of workmanship, using the most advanced technology. 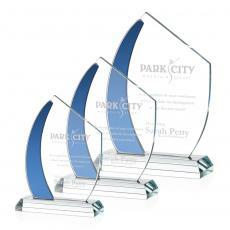 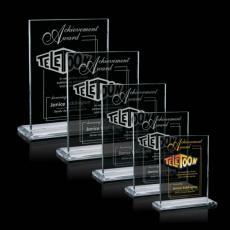 They are appropriate for sports teams, corporate events or artistic awards. 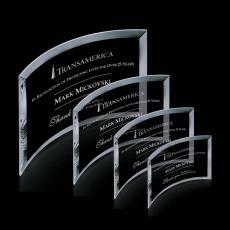 $24 - $55| Sizes: 10"x8", 6"x4", 7"x5" & 8"x6"
$49 - $69| Sizes: 7.75", 8.5" & 9.25"
$36 - $49| Sizes: 6.25", 6.875" & 7.625"
$38 - $64| Sizes: 6.75", 7.5", 8.25" & 9"
$36 - $49| Sizes: 6.125", 7" & 7.75"
$51 - $107| Sizes: 4"x4", 5"x5", 6"x6", 7"x7" & 8"x8"
$52 - $72| Sizes: 10", 6" & 8"
$34 - $48| Sizes: 6", 6.75" & 7.5"
$34 - $48| Sizes: 5", 6" & 7"
$20 - $53| Sizes: 10"x7", 6"x4", 7"x5", 8"x11" & 8"x6"
$50 - $80| Sizes: 11", 8" & 9.5"
$45 - $65| Sizes: 6"x4", 7"x5" & 8"x6"
$32 - $59| Sizes: 5"x7", 6"x4", 6"x8" & 7"x9"
$33 - $47| Sizes: 0.25"x5", 6"x6" & 7"x7"
$25 - $35| Sizes: 6"x4", 7"x5" & 8"x6"
$26 - $36| Sizes: 4"x6", 5"x7" & 6"x8"